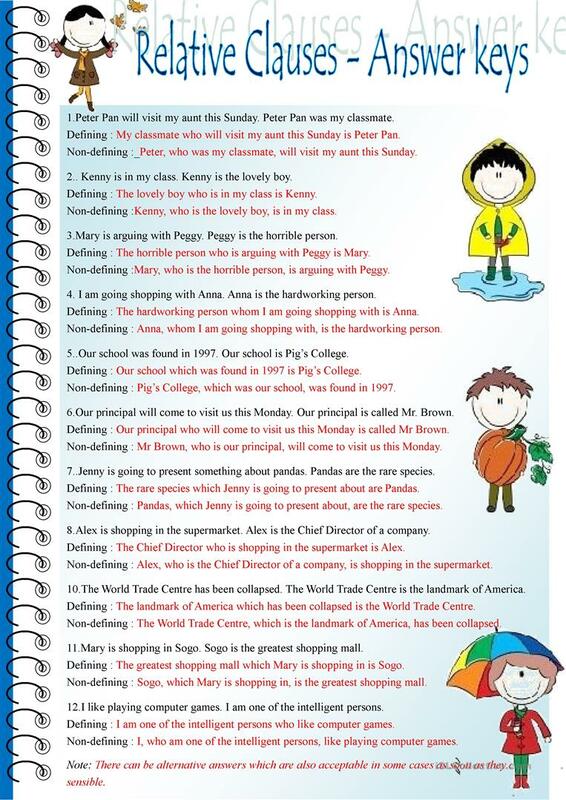 Combine sentences and rewrite in defining and non-defining clauses. Answer keys on p2. The present printable, downloadable handout is a great resource for high school students and elementary school students at Upper-intermediate (B2) level. 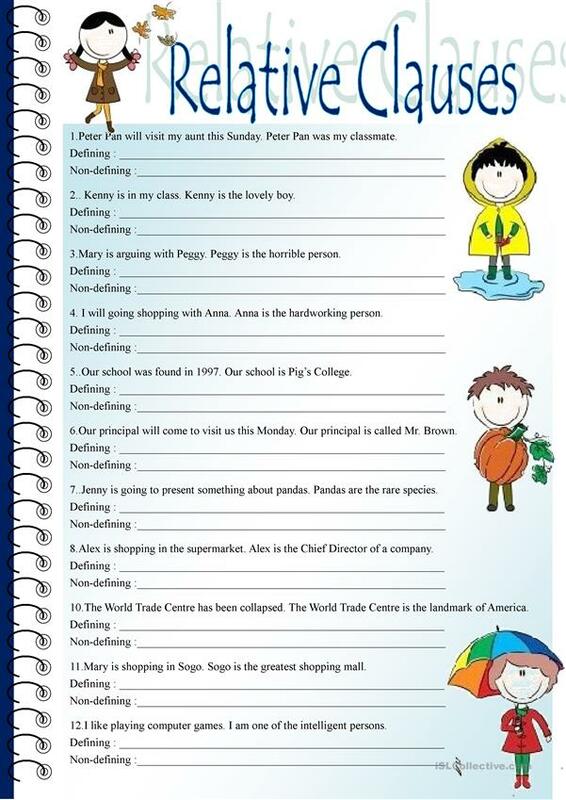 It is great for teaching Relative clauses in English. The exercises come with answers. steptong is from/lives in Hong Kong and has been a member of iSLCollective since 2011-07-10 10:57:23. steptong last logged in on 2016-09-24 09:23:03, and has shared 8 resources on iSLCollective so far.